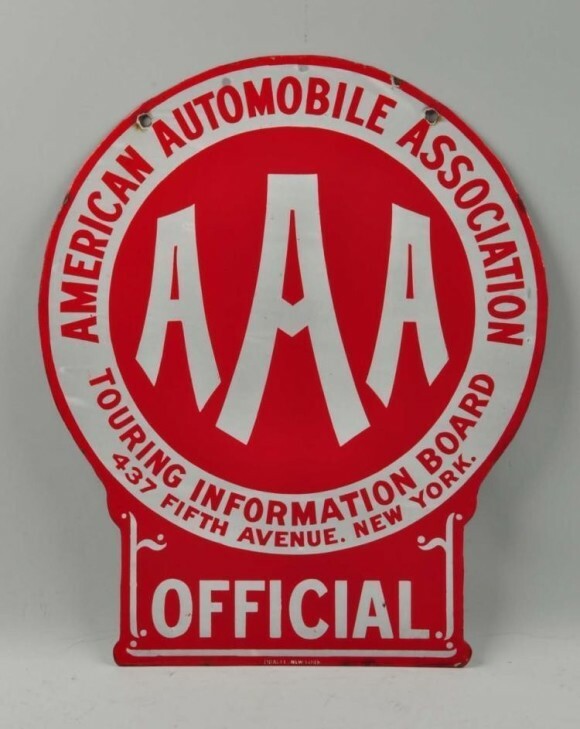 This larger sized AAA Automobile red sign stands 25″ x 21″ and is an abnormal shape. The shape appears to be a circle sitting on top of a square. The text on the sign reads “American Automobile Association AAA Touring Information Board 437 Fifth Avenue. New York. Official.” Other than the text, there are a few other decorative embellishments.